Housing Options: Many retirees purchase or rent apartments in Israel and live entirely independently. Others seek out retirement communities that offer a full range of recreation activities, while yet others require an assisted living facility with full or limited nursing care. The NBN staff can assist you in determining the best option given your needs and help you plan a pilot trip to investigate viable options. There are many private retirement consultants who offer assistance, some of whom provide assistance for free and some of who charge a fee. For information about retirement centers throughout Israel, see www.retirementhomes.com. In addition, the AACI has a thorough listing of retirement centers; please email info@aaci.org.il for more information. Financial Planning & Budgeting: Working out your financial situation when you move to a new country can be a daunting task. It is important to work out a budget and organize your finances prior to making Aliyah, organizing issues such as taxes in North America or the UK, Israeli taxes and Estate planning. If you are making Aliyah from Canada, it is important to speak to an accountant directly and determine the best way of making sure that you continue receiving a pension after making Aliyah. If you are making Aliyah from the U.K., State pensions can be paid directly to you in Israel in shekels. This is probably the most convenient way of receiving your pension. The money will be changed using a banking rate rather than a tourist rate. Additionally, if you move to non-contested geographical locations (such as Tel Aviv), you will be entitled to yearly inflation increases. With regards to non-State pensions, you will need to contact the scheme administrator to confirm that they will pay direct to Israel. See Financial Planning for Olim from the UK. Healthcare: The Israeli healthcare system accepts every applicant, and does not discriminate against individuals with pre-existing conditions. For information about medical benefits, see Healthcare Overview. For individuals who need long-term healthcare, options such as nursing homes and in-home care workers or foreign workers are available. Bituach Leumi (National Insurance Institute) offers assistance for home help. If you have questions about Bituach Leumi eligibility, you can consult with their Counseling Service. Note: For individuals over the age of 65, if you make Aliyah through NBN’s Guided Aliyah program, you will not have Israeli medical insurance during the time between your arrival in Israel and receiving approval for your Aliyah. Private insurance companies in Israel generally do not accept individuals over the age of 65 or people with pre-existing medical conditions. It is important to verify whether you can arrange to continue your U.S./Canada/U.K. medical insurance during this period. If not, it is recommended that you start the Aliyah process while overseas and rather than through the Guided Aliyah program after you arrive in Israel. Social & Recreational Activities: The OU Israel Center in Jerusalem is a hub of activity offering a range of events. In addition, if you made Aliyah from the U.S. or Canada, the AACI’s Seniors Division has branches in every major city in Israel and offers special interest groups of all sorts: choral groups, handicrafts, drama clubs, folk dancing, exercises, Yiddish speakers, etc. Volunteering: Many Olim choose to dedicate a part of their week to volunteering, a great way to build a new circle of friends, contribute to the community and learn something totally new. Many seniors opt to become docents in museums, while others volunteer at charity organizations, hospitals, children’s programs, food kitchens, etc. Educational Opportunities: Whether you are thinking about furthering your academic career or continuing a centuries-old tradition and returning to yeshiva, there is a wide range of educational opportunities in Israel for retirees. 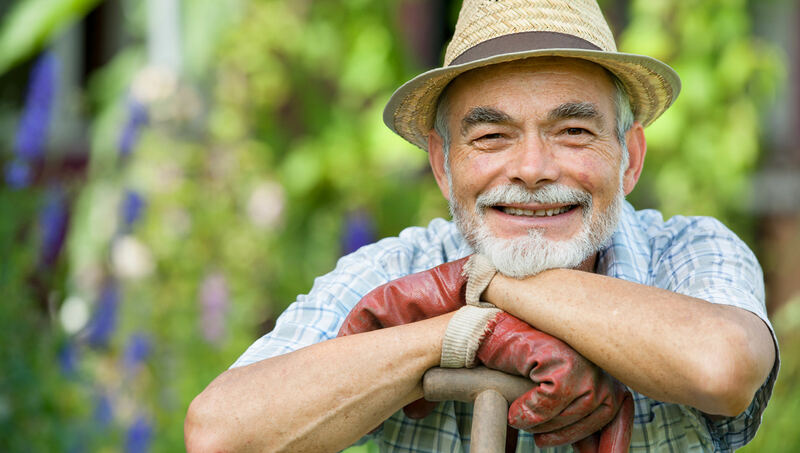 Many institutes offer programs for personal enrichment on subjects such as art, music and history designed specifically for the retirement community. Government Benefits: Retirees are eligible for a Senior Citizens Certificate (received by men over the age of 66 and 4 months and women over the age of 61 and 4 months). With this certificate comes a variety of discounts and benefits on public transportation, parks, concerts and plays and other services. In addition, some retirees are entitled to a discount on Arnona (property tax). New Olim can receive the certificate by contacting their regional Department of Services to the Elderly (Sherut LeMa’an HaZaken) at the following numbers: Haifa and the North: 04-861-9132, Tel Aviv and Center: 03-512-5519, Jerusalem: 02- 654-7025, South: 08-626-4903.